You are here: Home / Common Sense Building / Ten Rules of Roof Design: Really? Just like clockwork, this last Friday Martin Holladay posted his weekly blog article under the by-line of Musings of an Energy Nerd on Green Building Advisor. While I generally am always looking forward to seeing what he has to say, I was particularly looking forward to reading this one on Martin’s Ten Rules of Roof Design. While he made quite a few good points (no surprise), and I learned a lot more about his growing up in the trades (i.e. as a roofer), there were plenty of items in there I just couldn’t help but shake my head at. I have no arguments on “try to design a roof without any valleys. Valleys concentrate water and often clog with ice. 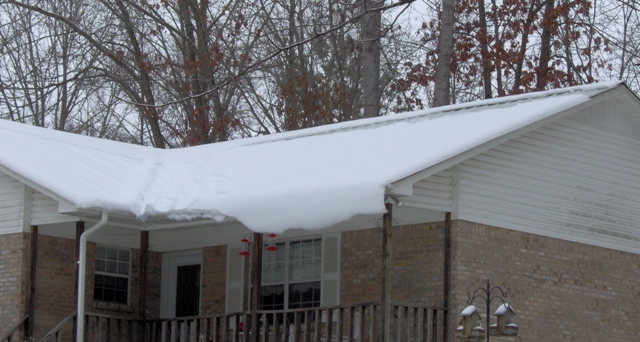 It’s far more common to have leaks or ice dam problems near valleys than in the middle of a simple sloped roof.” While we rarely have to worry about ice down here, one of the biggest issues with them is that the leaves are rarely cleaned out, which leads to either dammed up water & areas which are just soaked. As for the main cause of the issue- namely “designers” & mistaken beliefs that one must have a cut up roof to make it interesting – I would have to agree & disagree. Yes some architects go overboard, whereas in other cases they are necessary based on the land and a handful of other factors. Popping up to a little earlier in the article I noticed he mentioned under mistakes he sees “shingle roof with a badly woven valley between roofs with different slopes. (When the roofer isn’t paying attention, these woven valleys tend to drift to one side. )” Actually the biggest mistake I see is doing a woven valley in the first place – a far better method (which is also more forgiving) is using valley flashing & trimming the shingles back. Um wow, I guess I see why he added a preemptive comment section directed to designers at the bottom. As a simple rule I agree that the less complicated a roof is, the lower the chances are a problem may happen later. From a zoning, health, lighting, height restrictions, and even yes a design perspective, dormers, skylights, and solatubes do have their place. 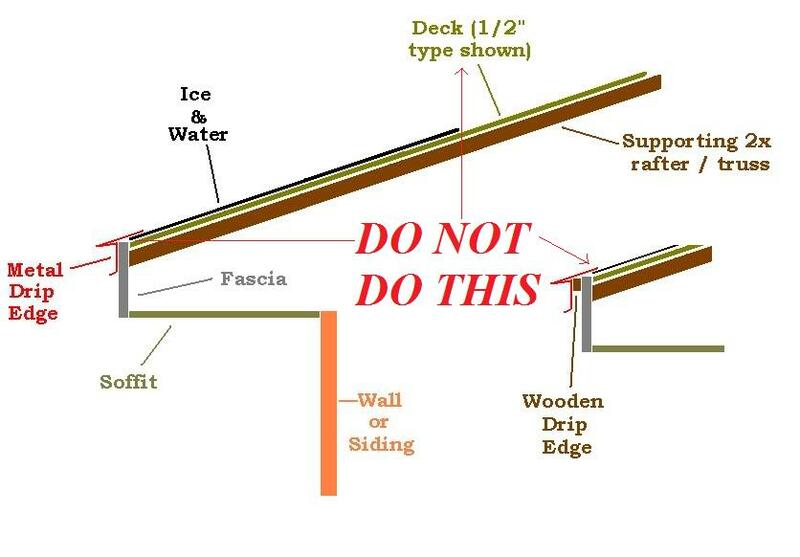 Reason 1A: Rafters aren’t deep enough – well maybe if one hired an architect & not a designer who knew what needed to happen, this wouldn’t be an issue. Besides even in a retrofit situation one can always add foam on the outside as Martin so points out in another article. Reason 1B: It’s cheaper – Most of the times yes, but that depends on the structure, and if you are talking about a properly air sealed attic with baffles or just one where they blow & go. Along the same lines, while it may be cheaper up front, over time it probably isn’t, especially if there any mechanicals up there. Reason 2: Oh my favorite one, “If you leave your rafter bays uninsulated, it will be easier to locate roof leaks.” Really, it is easier to spot an issue while tromping through 12” to 18” of insulation? How many times have you found a roof leak exactly where it shows up – maybe 10 or 20% of the time? While we are at it, just how bad are the roofers up in the North country? I swear almost everyone up there sounds like every roof is going to leak and there is nothing one can do to prevent that. Reason 3: It is easier to air-seal an attic floor than a cathedral ceiling? I would dare say with all those issues with ice-dams up north, reality says otherwise. Either which way, one actually has to get someone to do it properly the first time which I would say is a challenge almost everywhere. Very good points, though I would add that wide overhangs are an issue in many area’s that experience high winds. If at all possible you want to keep your overhangs at 2’ or under (16″ or less for high wind areas) and base the size of them on the location of the sun during the winter and summer. If your overhangs are too large, you just might be blocking that winter sunlight that will provide you some free heat. For all our neighbors to the north, he makes a good point as you do have snow loads to be concerned about. For those of us in the south I would basically recommend ignoring this advice for the most part, especially if you are planning on having wrap around patios to help control the sun light & reducing the associated heat load and allow for the windows to be opened. If you are planning on this though, going less than a 3/12 for the patio section is just asking for trouble and you will need to clean that area off occasionally (leaves, needles, Frisbees). Granted I understand and it is re-clarified that this is just an opinion & he does list some good pros & cons not only here but in other articles – but for longevity, rain water harvesting, and numerous other factors an individual should really think carefully before just going – I’ll take shingles or metal. There really are some good reasons why concrete tiles are used so much in many southern areas of the country, slate up north, etc… My top two choices in many areas would be a concrete tile over a hot roof assembly or if one was going to add solar panels – a standing seam metal roof (they have clips that attach to the seams, thus no roof penetrations).